Transfer rumours never seem to stop. Even in the middle of the season there's always some agent dropping some hint about a player going here, there and everywhere. We may give out about it but still we eat it up. The problem in May is that there's just too much of it. So we're going to try something different. When we say different, we do of course mean a complete rip-off of the greatest way ever to get sports news across to the masses. Yes, we're able to admit that. Things peaked with Aertel. 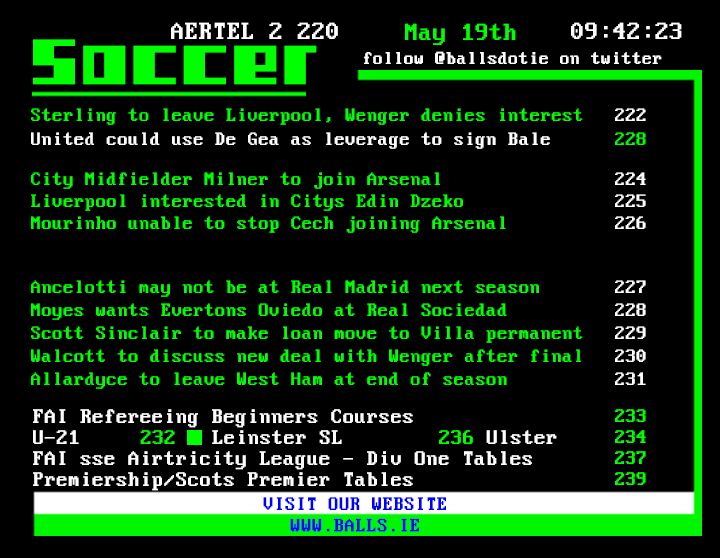 So, with that in mind, here's your daily Aertel page 220 transfer round up.